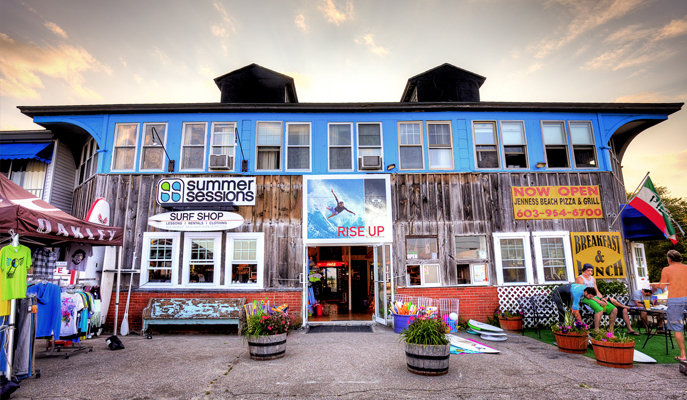 Summer Sessions Surf Shop was founded in the summer of 2002. A family-owned and run shop since its inception, Summer Sessions is committed to representing for local surfers in New Hampshire. Despite its growth, the surf shop prides itself on the personal connection it maintains with its patrons. If you come to the surf shop, you’re part of the crew. Summer Sessions is still run by Ryan and Tyler McGill, brothers and co-founders of the surf shop. Both brothers still personally teach surf lessons and are always at the Kids’ Camps to coach and instruct. If they are not in the water, Ry and Ty can be found behind the counter or in the board room. Surfing is their passion; come by the surf shop and see why.